1. First, we need to make a piece of candy. 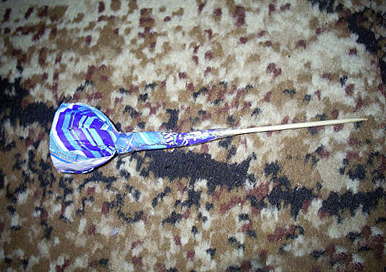 Take a candy, a little expand wrapper and insert a bamboo wand (if necessary, the wand can be shortened). 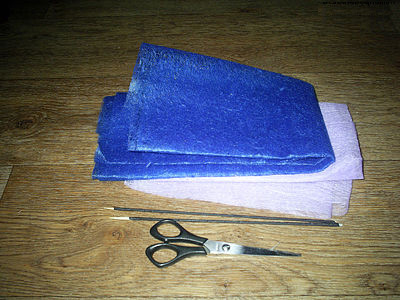 Wrap wrapper around a stick and for strengthening fix tape. 2. We take a basket and put on its bottom foam. 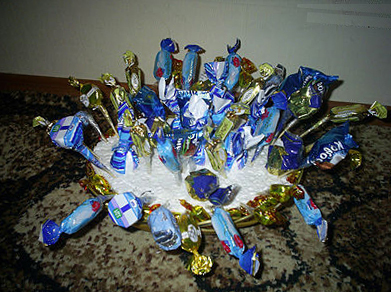 We begin to stuck previously prepared candies on sticks in foam. 3. It’s time to make sails for our composition. For their creation we need blue and light floral interlining or blue and light colored paper, scissors and two bamboo sticks. If desired, they can be wound with floral ribbon of brown color. 4. Take a floral interlining or blue colored paper and cut out six rectangles. Then we take a interlining of light color and cut out of it also six stripes. 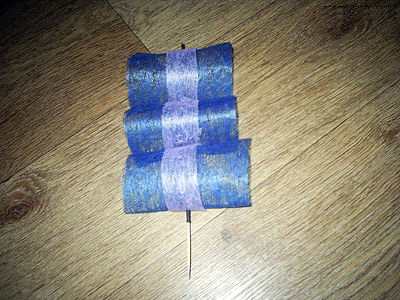 Put each striped in the middle of the rectangles and start to string three sails on the mast of a bamboo wand (see the picture). 5. In the same way we make the second sail. You can still make flags and attach them on top of the sails with the help of scotch. All! 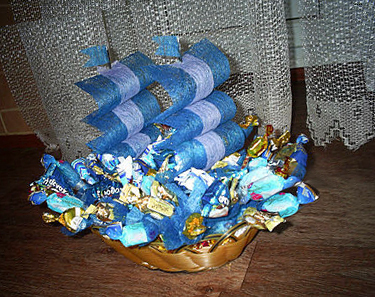 Our candy sailing ship is ready.